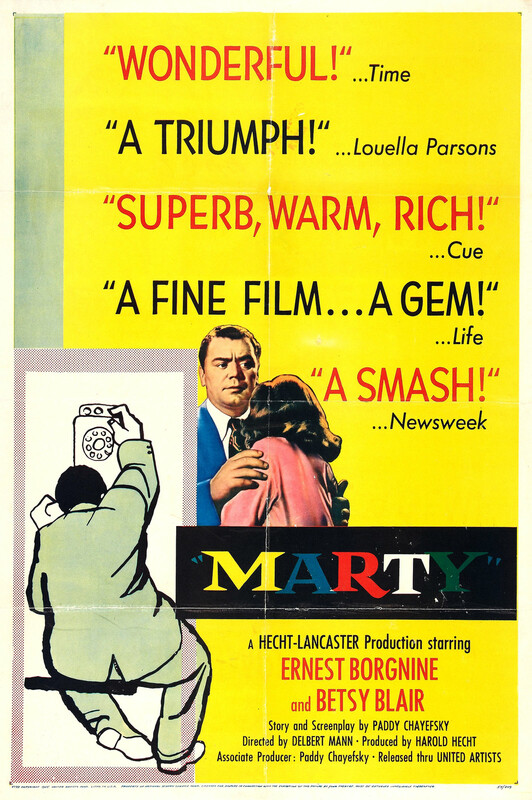 Marty is a film directed by Delbert Mann, based on a teleplay written by Paddy Chayefsky. Released in 1955, it was the first film to win the Palme d'Or (before 1955, the top prize at Cannes was called the Grand Prix du Festival International du Film), and to this day is the only film to win both the Palme and the Oscar for Best Picture at the Academy Awards. It's a simple and solidly put together tale of romance between two regular people one weekend in New York City. Starring Ernest Borgnine in the title role that helped him break the typecasting of always playing the bad guy in western films, and Betsy Blair as the school teacher he meets when he reluctantly goes out to the dance hall on Saturday night. I've never been a big fan of films made from plays, but must admit that this one works quite well. 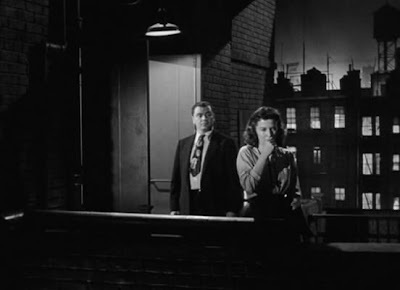 Anchored by Borgnine's strong and detailed performance, and its realistic on-location sets, you don't get the feeling that everything is staged like with so many other films of this era. It's also not your typical classic glamorous Hollywood movie. This is no fairy tale love story between a dapper hero and a beautiful princess, but rather a brief window into the plain lives of two everyday lonely people in the city, a nice and ironic break from the norm. It's not a life changing masterpiece, and it isn't particularly creatively inventive or inspiring; some of the dialog sounds aged, the jokes are set up from a mile away, and the outcome is entirely predictable. I do wonder how this managed to pull off the double win, however it remains a genuinely enjoyable watch that strikes a good balance between humor and heartbreak, and proves you don't need a huge budget, fancy effects, or an airbrushed cast to make a successful picture. I've never been really interested by this film... I guess I'll have to get to it sometime. Great write up! 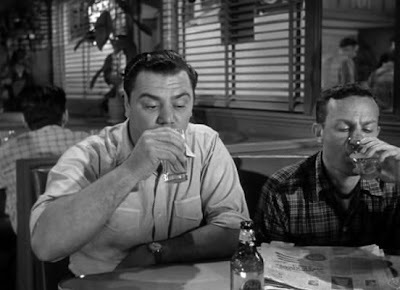 I enjoyed it for Borgnine but never understood the awards, was it up against weak competition at the time? 'Marty' is one of those films you need to watch every now and then. Just to see how a good story unfolds. 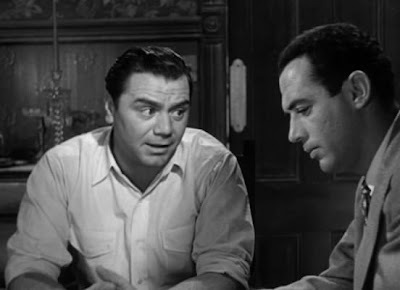 I've seen both the Steiger and Borgnine versions. 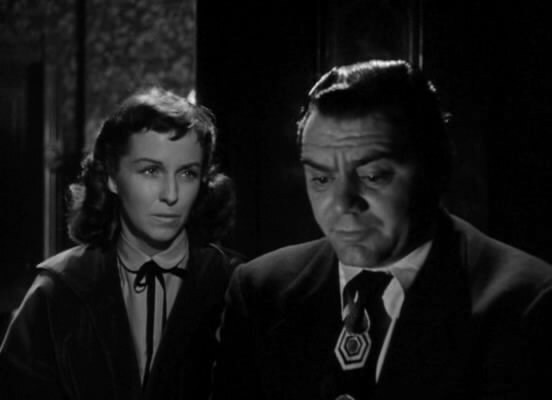 And I still prefer Borgnine's less whiny performance and supporting cast. Very much like Anthony Quinn's and Jack Palance's take on Mountain Rivera in 'Requiem for a Heavyweight. It's all about delivery. And Quinn and company deliver and wring emotions more deftly than Plance. Now that's a poster that draws attention! Actually I just read this because I couldn't take my eyes of the poster. The film looks fun. It's interesting - sooo many people love this film. I like it, but it's never been one I 'get' as brilliant, but many people I know cite it as an all time fave. I think the appeal is that 'small man' thing being portrayed so beautifully. It's still refreshing and I guess its a story everyone can relate to. It also playing into that "there's someone for everyone" mythology that is so compelling and impossible to resist. I liked this film quite a bit. I believe the reason that it won the awards, plus has the reputation is precisely because of what you stated - it is a simple story of the "other guy". He's not the more perfect than life, tall, square jawed, dapper fighter pilot, or some other film concotion. 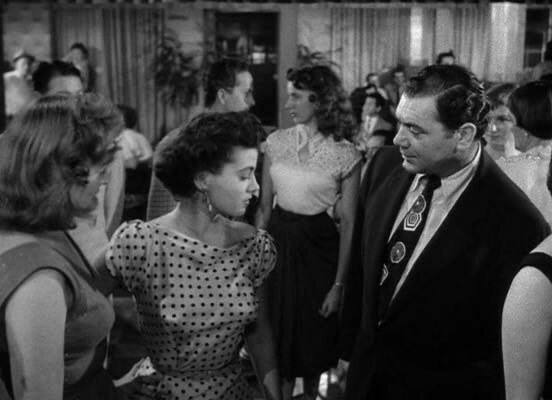 People identify with Marty and want to see him find a connection with someone. 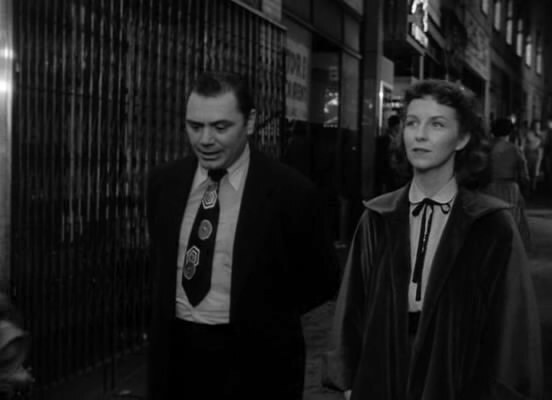 There are a lot more people like Marty than there are like Cary Grant. This is one of the very rare cases where it has everything going for it, and I still don't know if I'll like it. I guess I'll give it a go just in case. Me either, but I figured for historical reasons this was a good one to start with. Thanks for stopping by again Michaël. 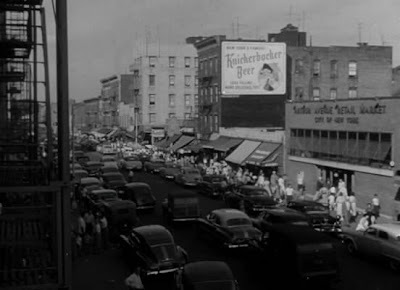 Hard to say, there were some other well known titles to come from that year, Rebel Without a Cause, Guys and Dolls, East of Eden, The Seven Year Itch to name a few. I have not seen the Steiger version but, yeah Borgnine to me looks more the part and he does a very convincing job here. I surprised they don't make posters like this anymore, because they are so much more attention grabbing than the cookie cutter modern ones. Thanks for reading Mette! Once again we are in agreement. It's good, and I do get how many can relate to the characters. But I think the dialogue tries too hard to make its point and it feels almost like a sit-com in some places. Yeah that makes sense to me, I guess I underestimated that factor. 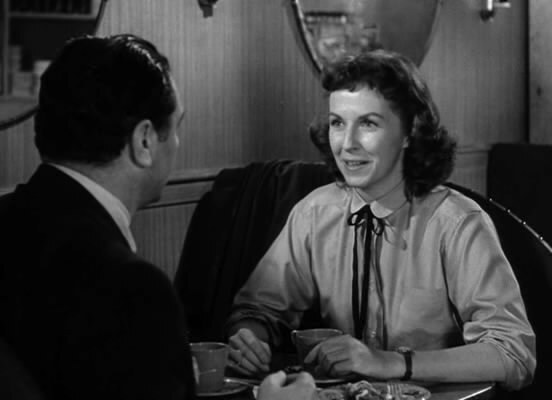 Marty (1955) is a favorite of mine, I love how warm-hearted the story is. A simple and beautiful movie. Didn't realize won at Cannes. Haha I forgot he was in that. I enjoyed it and I agree it is a simple and beautiful movie, but can't quite call it a favorite. Thanks for stopping by!